The new Spring 2011 Patagonia digital catalog celebrates The Surfer’s Journal’s 20th anniversary. The catalog is a beautiful, multimedia experience with juicy, surfy photos, embedded videos & podcasts, and links to download pdf’s of archived TSJ articles. 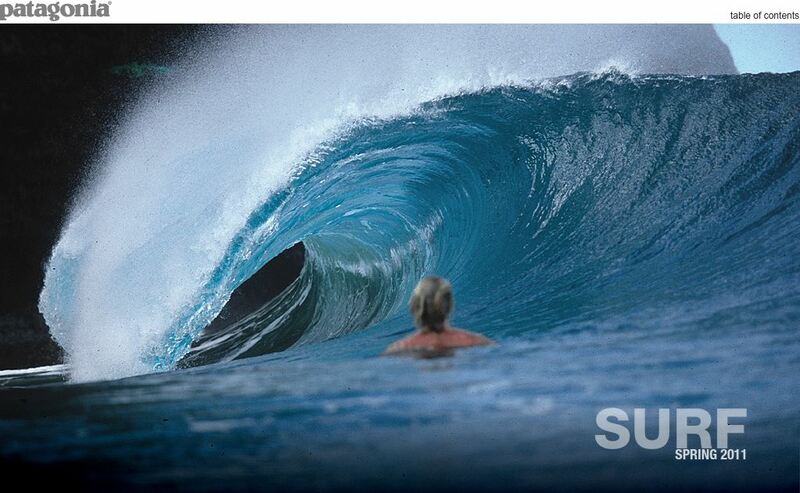 Patagonia and The Surfer’s Journal are two of my favorite surf-related purveyors. They’re both a little pricey, but head and shoulders above the competition in terms of quality. I’m an avid subscriber to TSJ and I wish there were some way to continue receiving my bimonthly issues while we’re on the road. I’ve been salivating over Patagonia’s wetsuits for the last few years but haven’t worn out my O’Neill models beyond repair yet. I have, however, bought a couple of Patagonia bikinis for our 2-year surf trip. Look forward to seeing whether they stay in place in waves of consequence. If you haven’t tried out either company’s products, I highly recommend doing so.